Typically hearty, almost always made with fresh ingredients and certainly not limited to piri-piri chicken (for those of us more used to Nando’s! ), the food in Portugal has many delights. Here are some of the ingredients and dishes that contribute to Portugal’s rich culinary heritage, and there’s not a chicken in sight. Portugal’s presunto ham is as good as the best Iberico ham that Spain has to offer. Presunto is cured ham from acorn-fed pigs and has a rich and developed texture. Some towns, such as Monchique (west Algarve), specialise in producing the ham, but even the supermarket offerings are delicious. It’s all a world away from the generic and comparatively tasteless ham you find in a UK supermarket. England has a reputation for producing top notch strawberries. Think Wimbledon and you can almost taste them being served with lashings of cream. But mass production and a desire to get them on supermarket shelves as early as possible has reduced their quality. In Portugal, however, delicious local strawberries are readily available from markets and street vendors, meaning you won’t have to rely on supermarkets. In fact strawberries grown during the winter months in southern Portugal are of such high quality that they are often shipped to northern European countries to satisfy the demand around Christmas. Portugal can certainly claim to produce the finest olive oil in the world. The Spanish and Italians might argue, but Portugal can certainly claim to produce the finest olive oil in the world. Look no further than Monterosa olive oil, produced in Moncarapacho (East Algarve), which has a number of awards to prove it. The Portuguese choose olive oil and wine vinegar over fancy dressings in their salad for good reason. If the award-winning oils are a bit pricey, pop to the local supermarket where you’ll some very agreeable options for a fraction of the price. It’s salt cod, not spicy chicken, which is the traditional national dish. 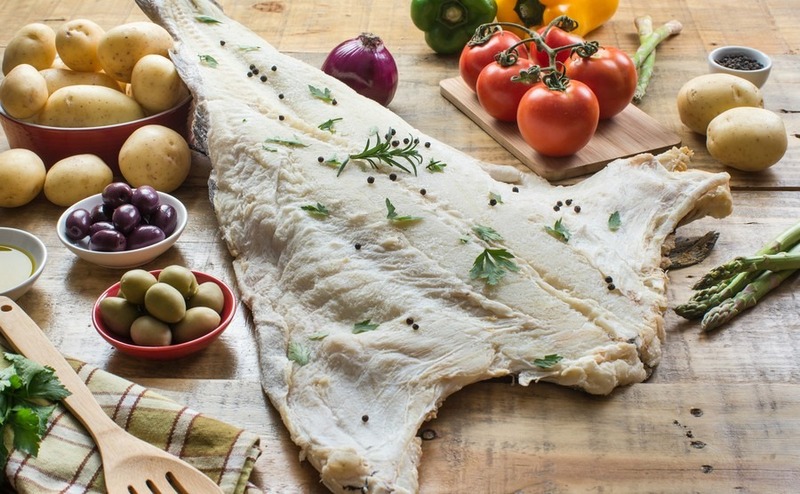 Typically eaten two or three times a week, it’s verging on a national obsession, whether baked with cream and potatoes (bacalhau com natas) or cold with chickpea salad (salada de bacalhau com grão-de-bico). The dish even has its own nickname: “the faithful friend”. If you embrace the local culture you will also find yourself tucking into it on Christmas Eve with a nice glass of white wine, along with the rest of the country. Reared on both sides of the border, those corn-fed pigs we mentioned are commonly known as Black Iberians (pata negra in Spanish). Portugal’s finest hail from the Montado region of Alentejo. Reared in oak forests and fed acorns, they develop layers of intramuscular that produces a sweet, moist meat when served. Particularly popular in the north, the pork is often cooked confit-style. Time for pudding. Pastel de nata is the quintessential Portuguese custard tart, much loved by this nation of sugar addicts. It’s simple to make, found everywhere and absolutely delicious. Sure, you’ll come for the sunshine and affordability and lifestyle, but the food in Portugal is very special too. 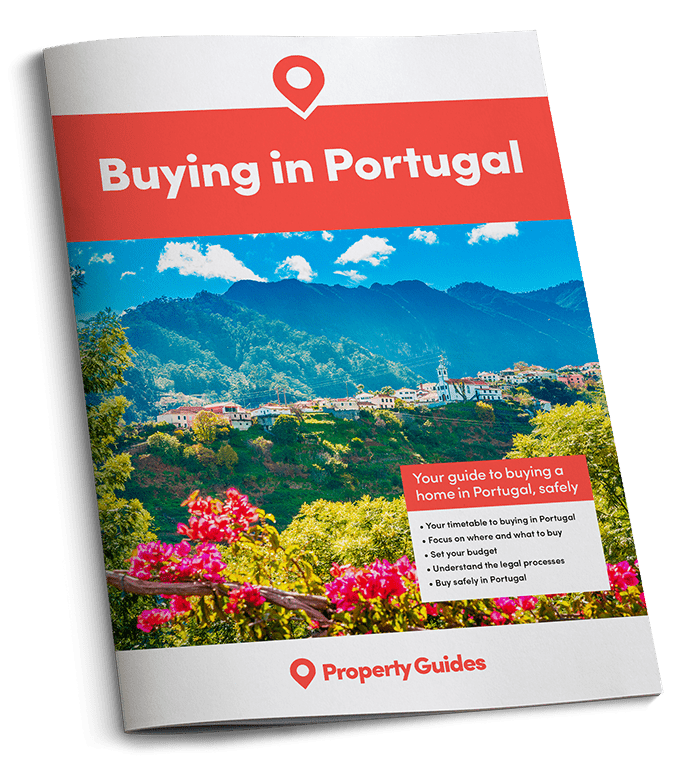 If you’re ready to buy in Portugal, contact the Property Guides Resource Team to plan your move. We can introduce you to a trusted estate agent or lawyer, or talk to you about currency. Call us on 020 7898 0549 or email portugal@propertyguides.com.